Join the Cleveland Toptal community and our guests for an evening of networking. We will gather at Noble Beast, Saturday, May 12th starting at 8:00 PM. This event will bring together Toptalers along with speakers and attendees from the nearby PyCon event. 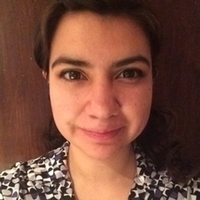 Come meet Eva Bojorges, Toptal’s Community Lead for Latin America, and a speaker at PyCon 2018. This is an excellent opportunity to get to know new Toptalers, and it’s also a chance to invite your contacts who may be interested in learning more about Toptal. All are welcome. Please RSVP on this page to give us an accurate headcount. For questions, please contact the event organizer directly.